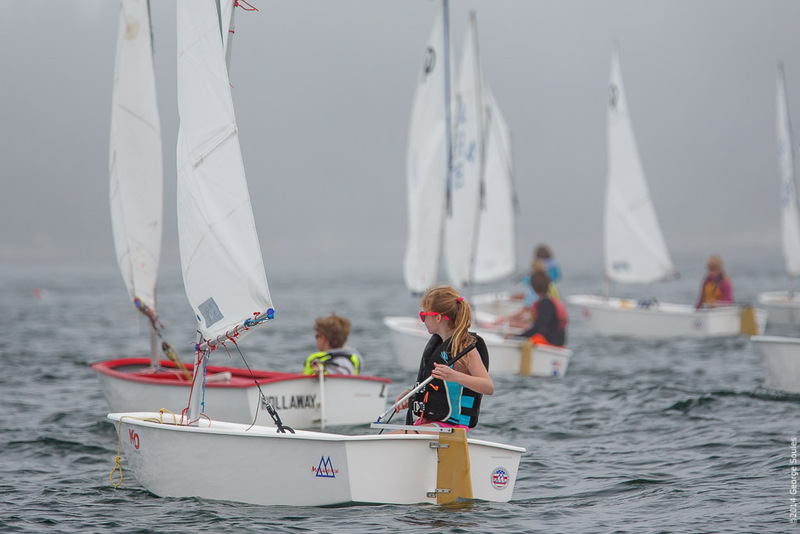 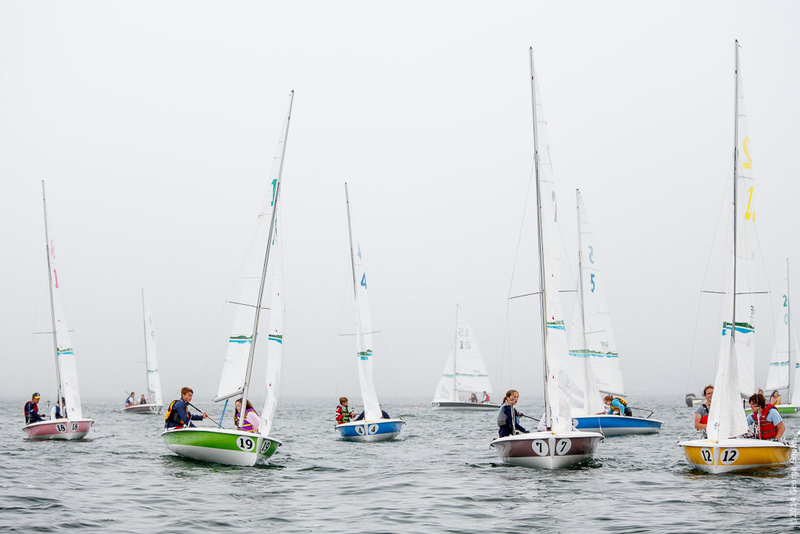 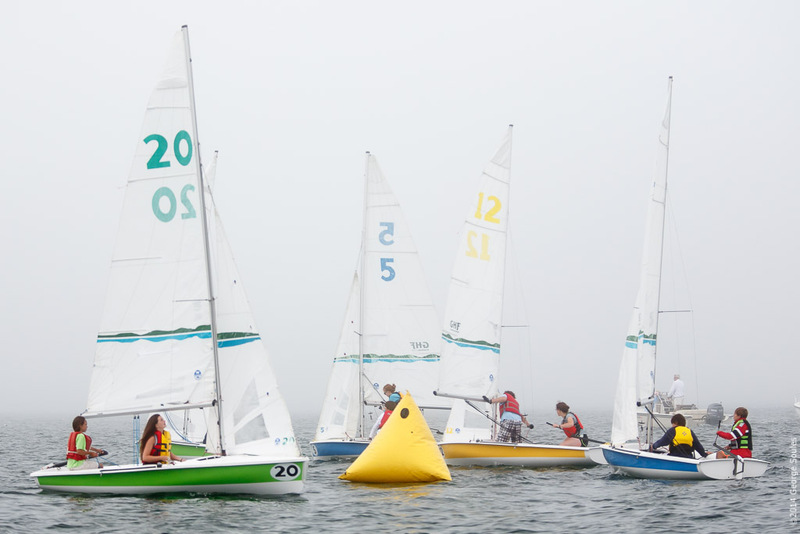 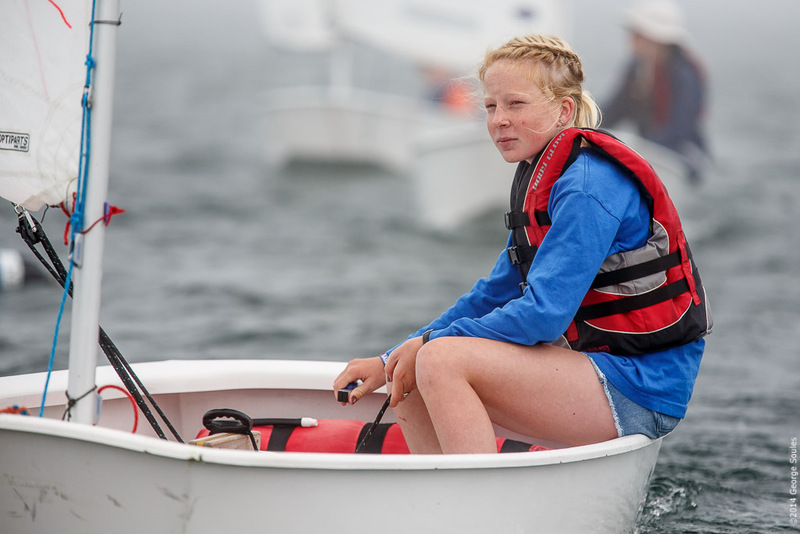 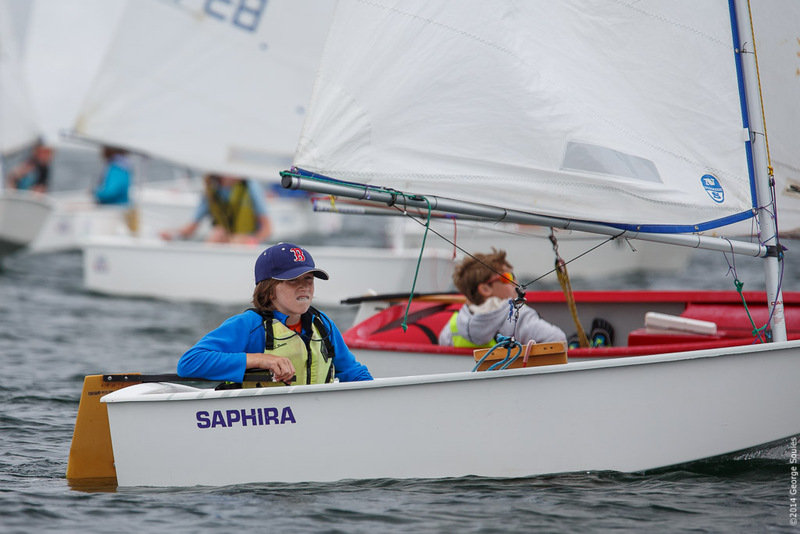 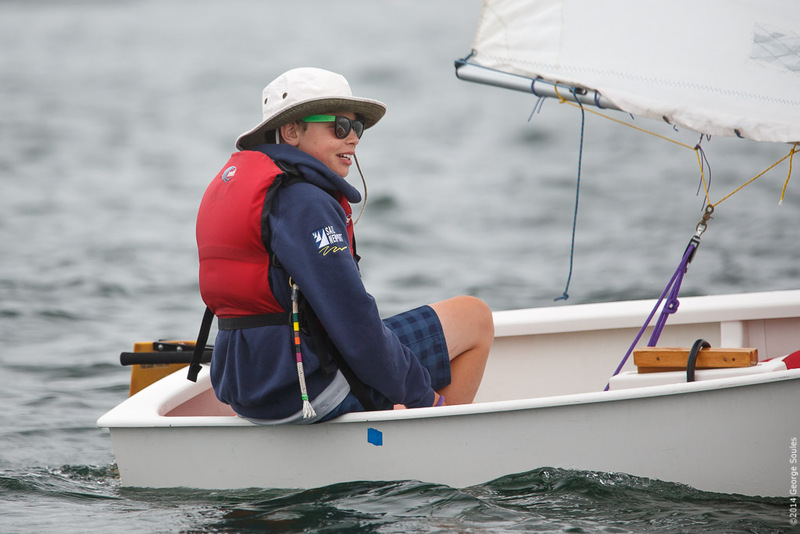 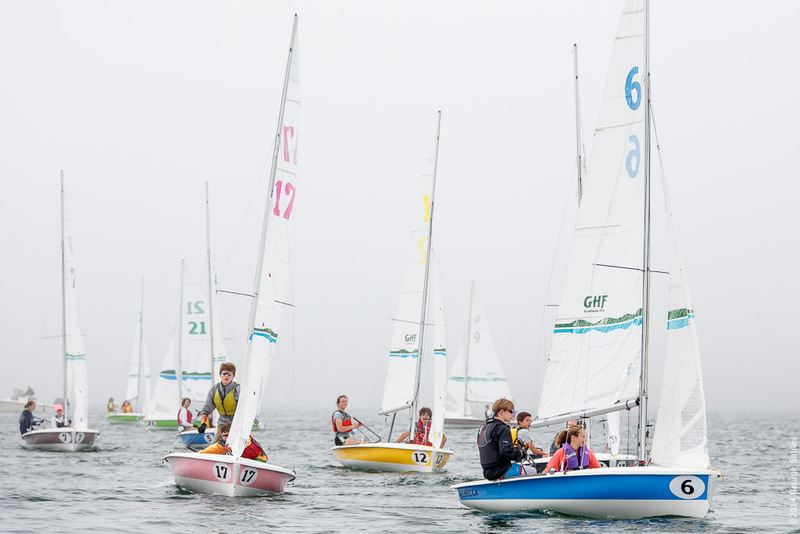 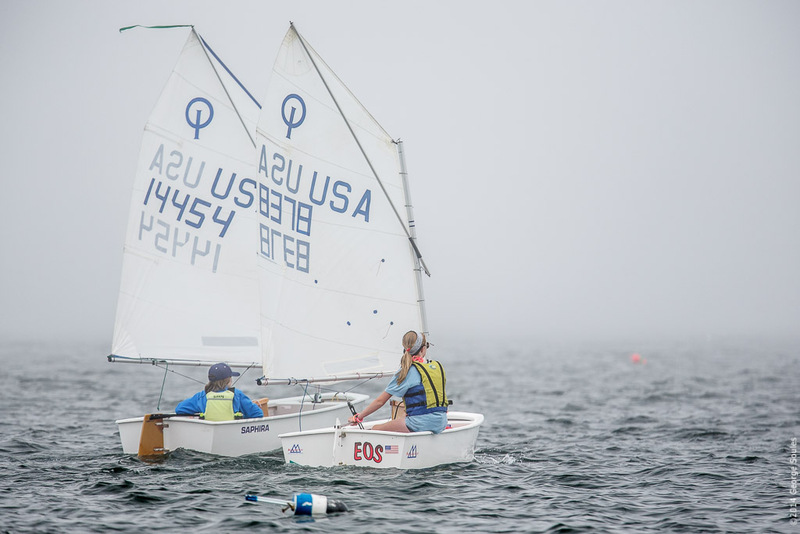 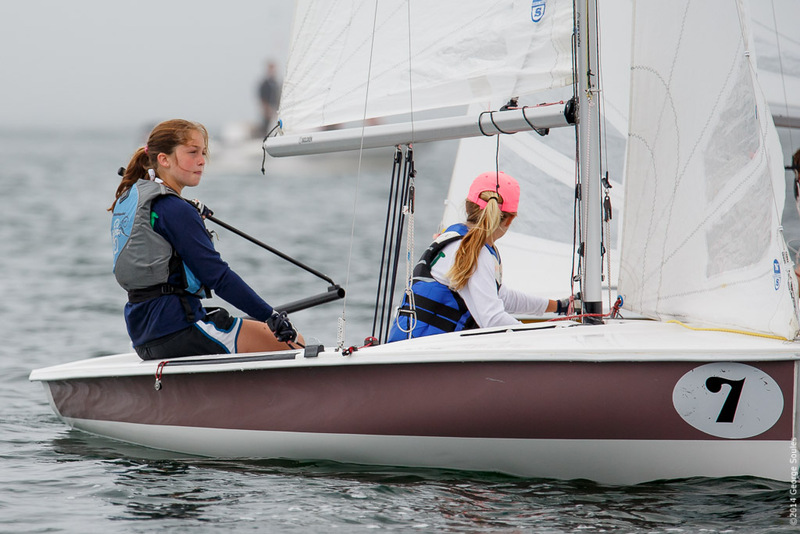 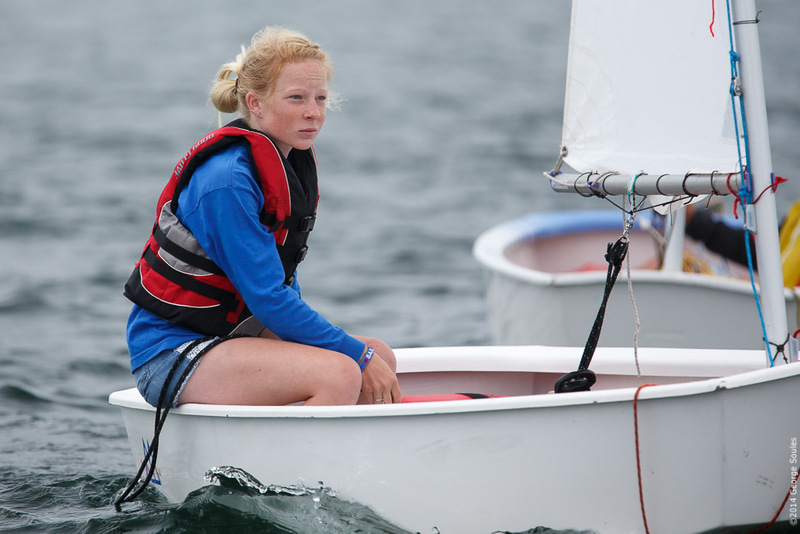 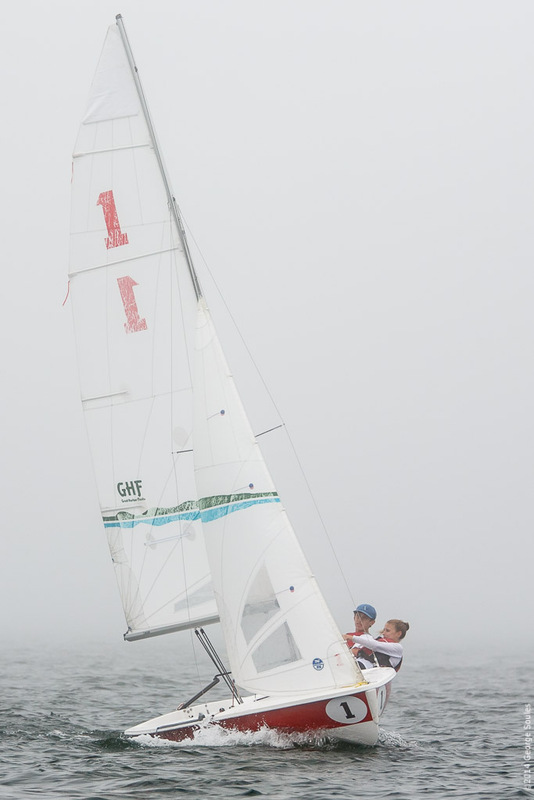 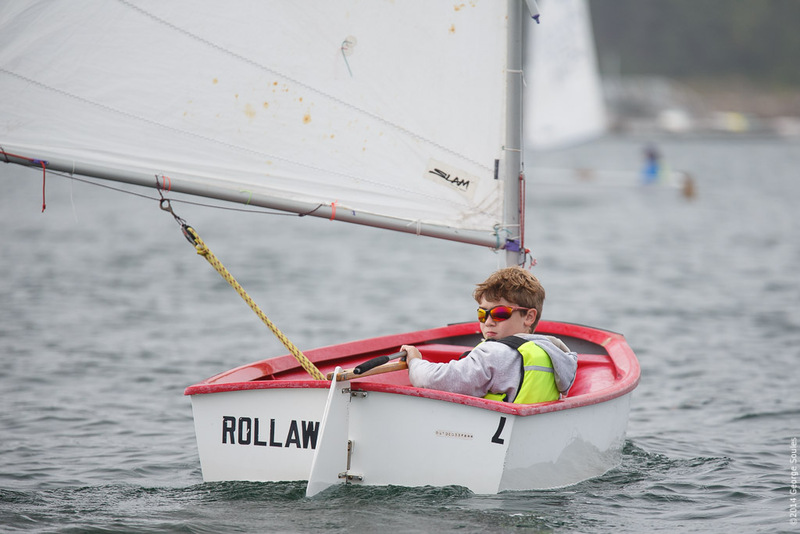 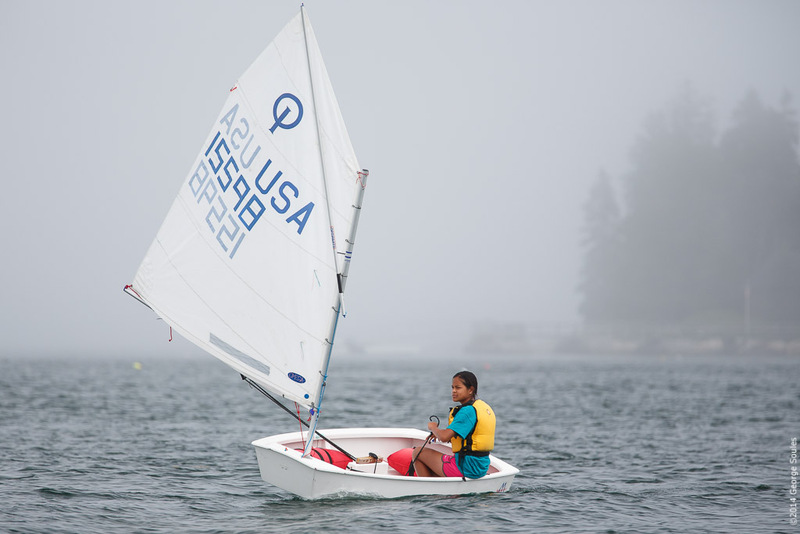 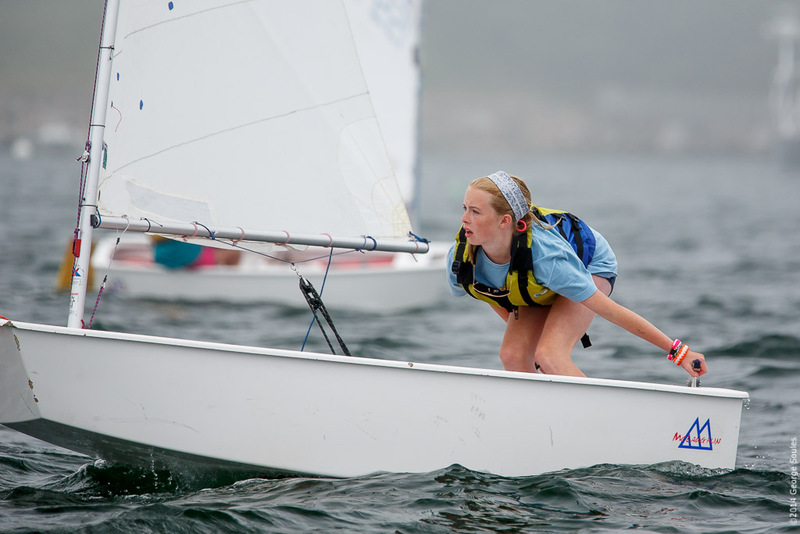 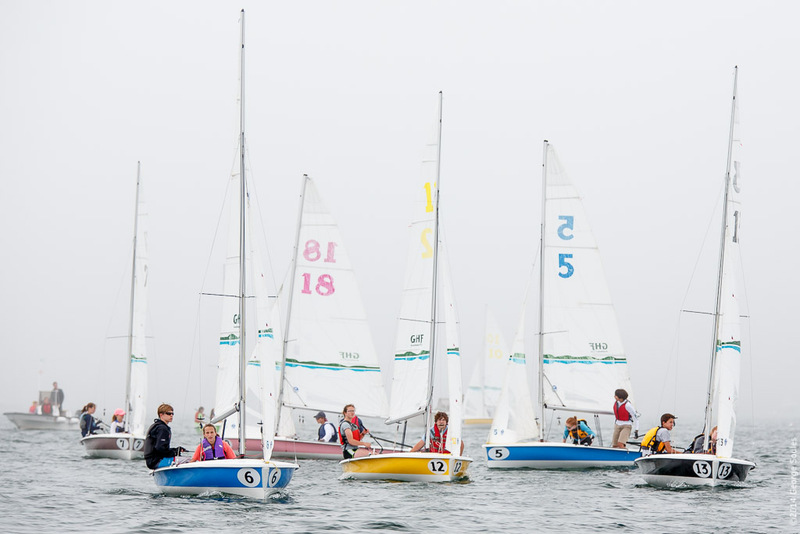 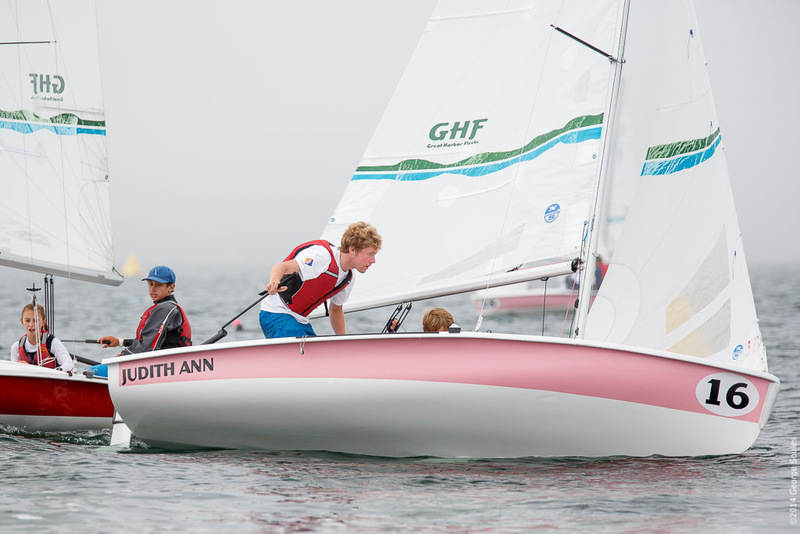 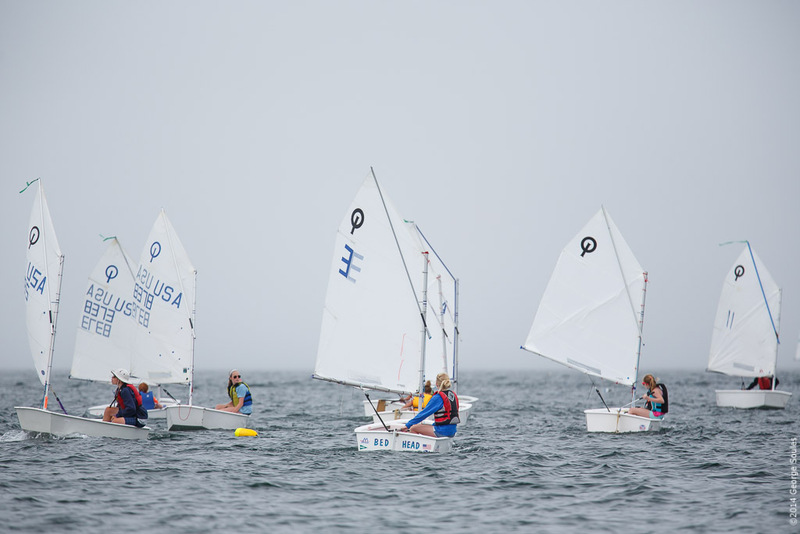 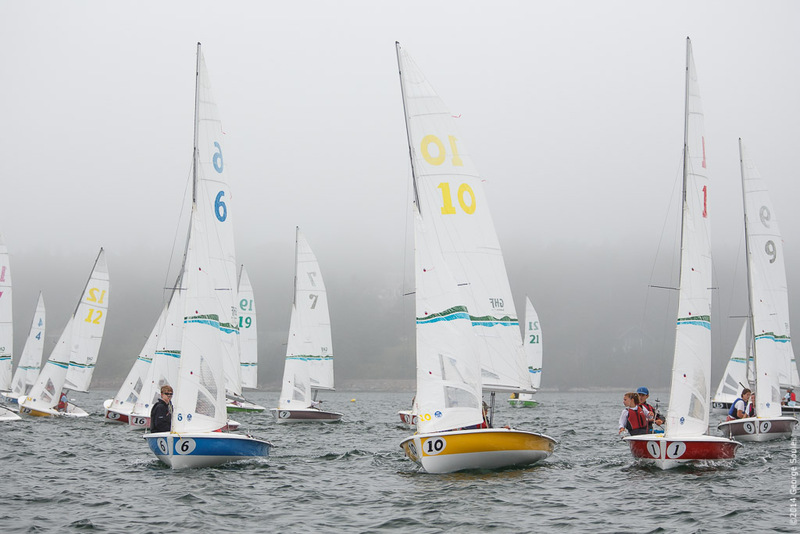 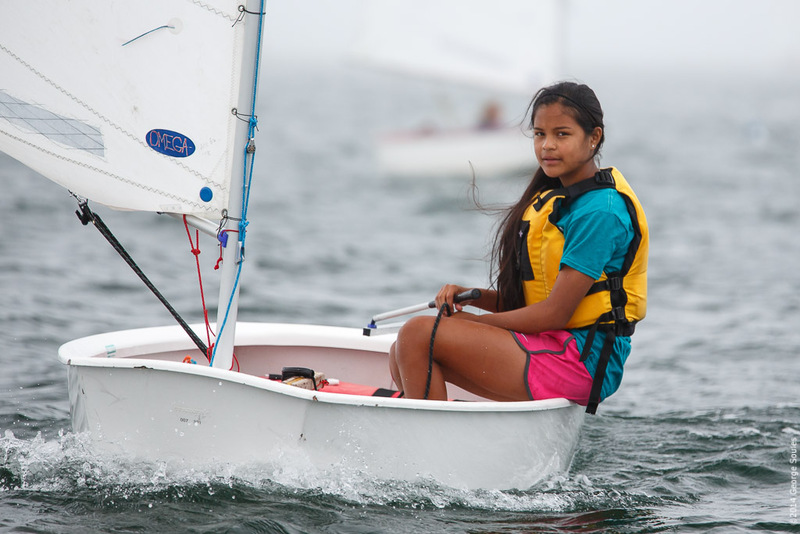 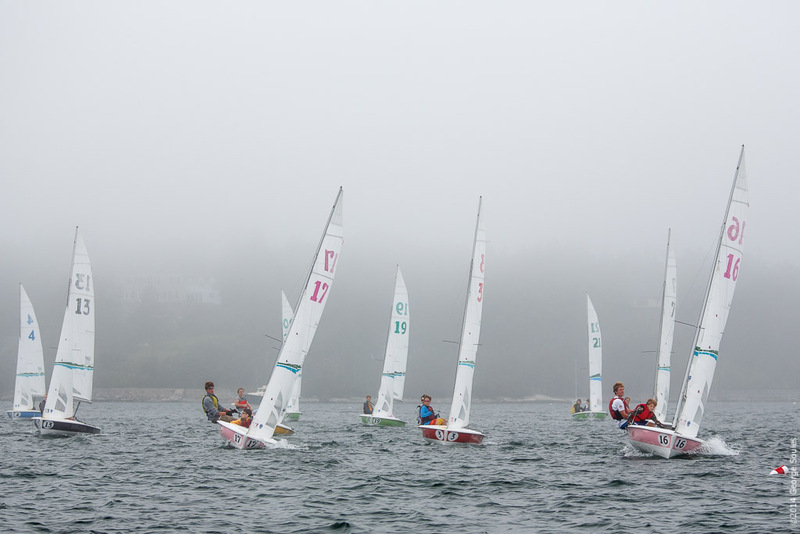 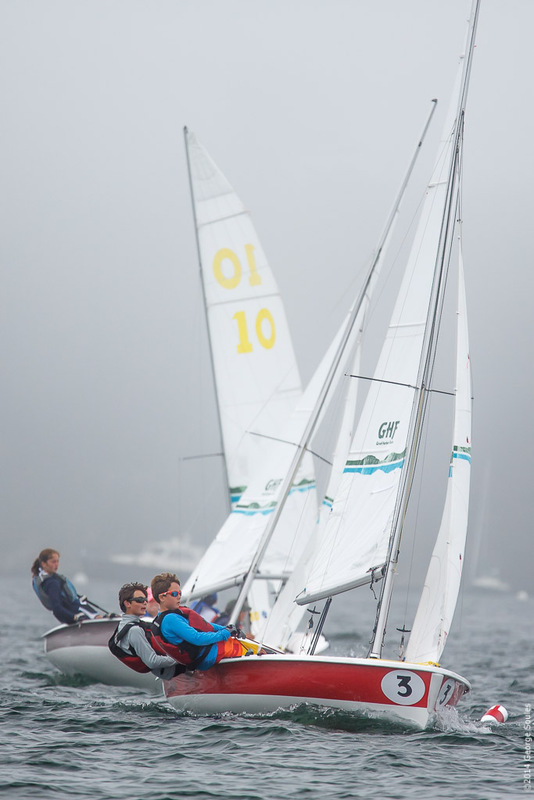 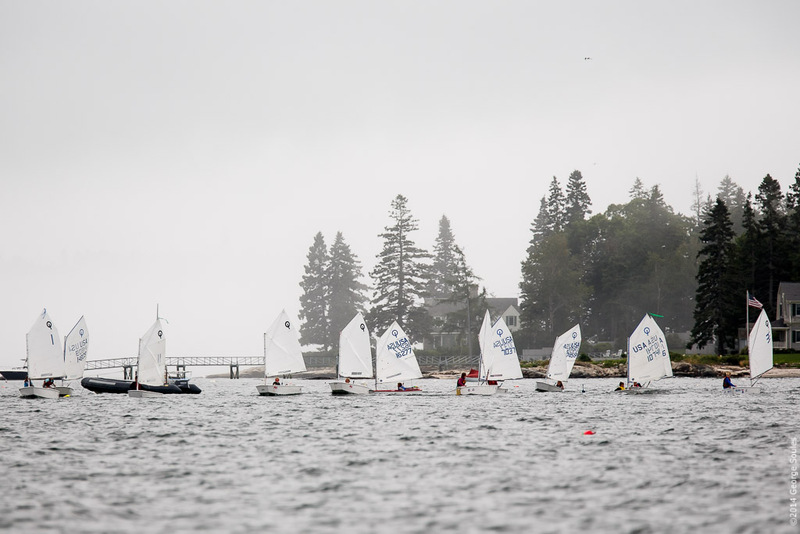 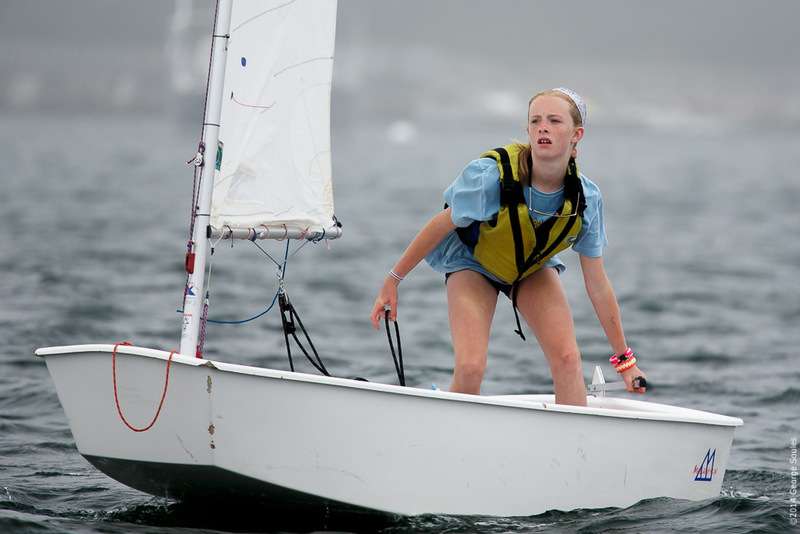 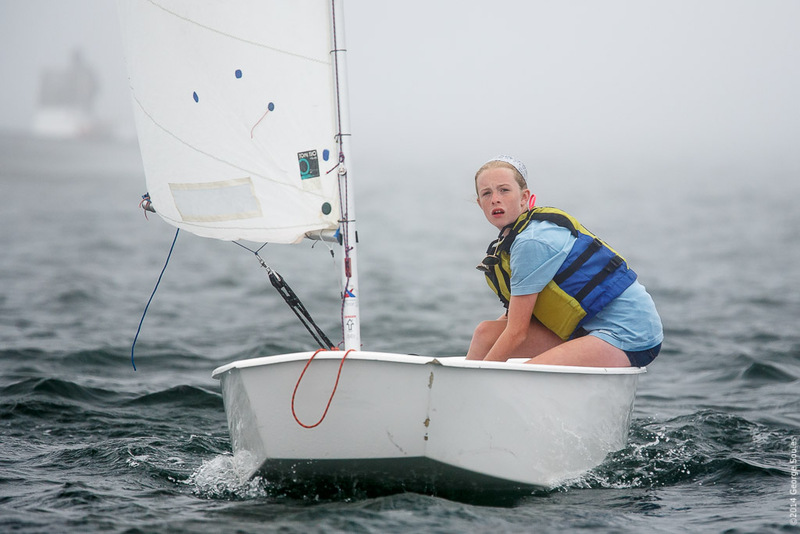 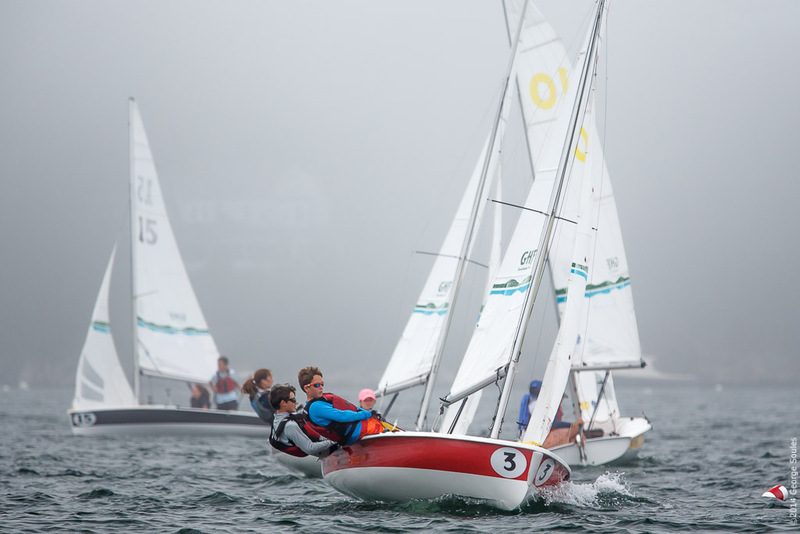 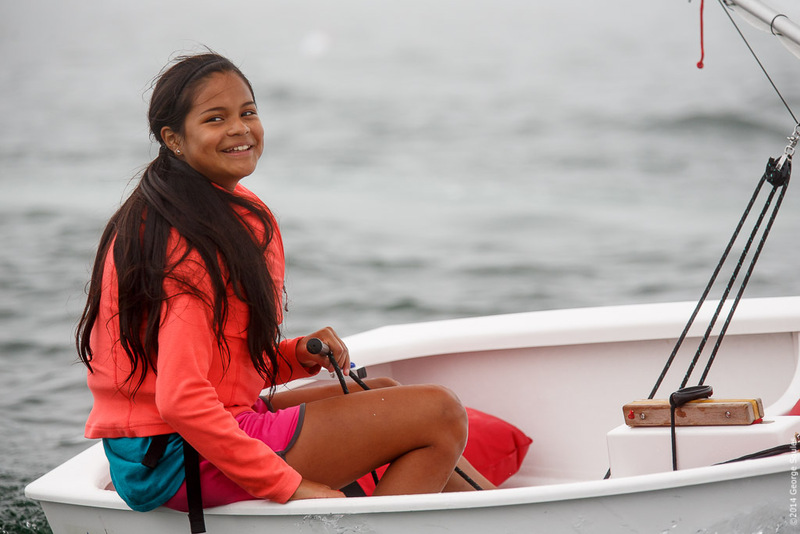 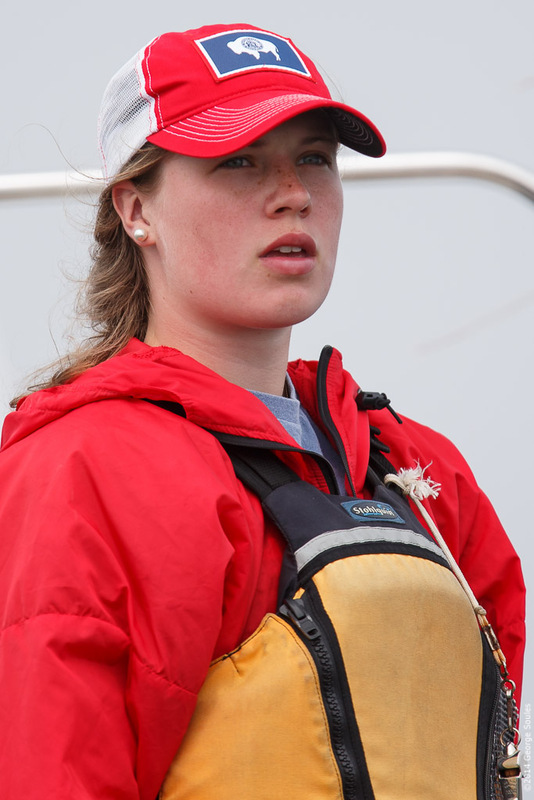 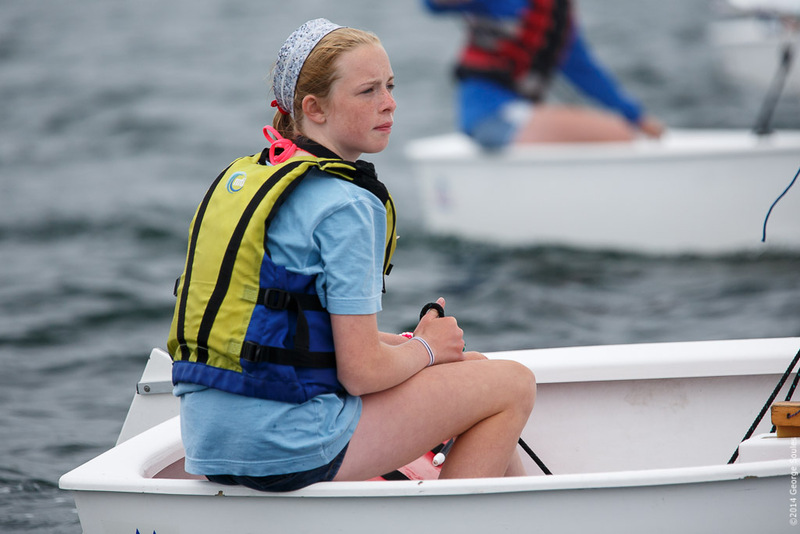 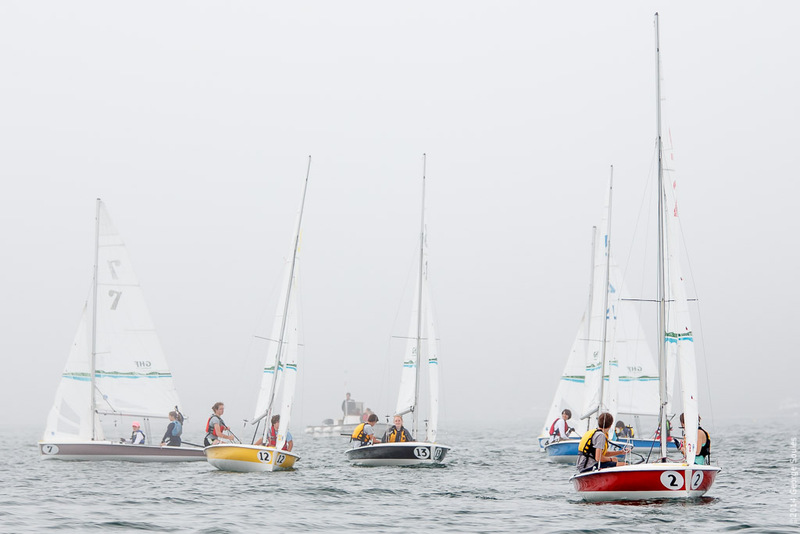 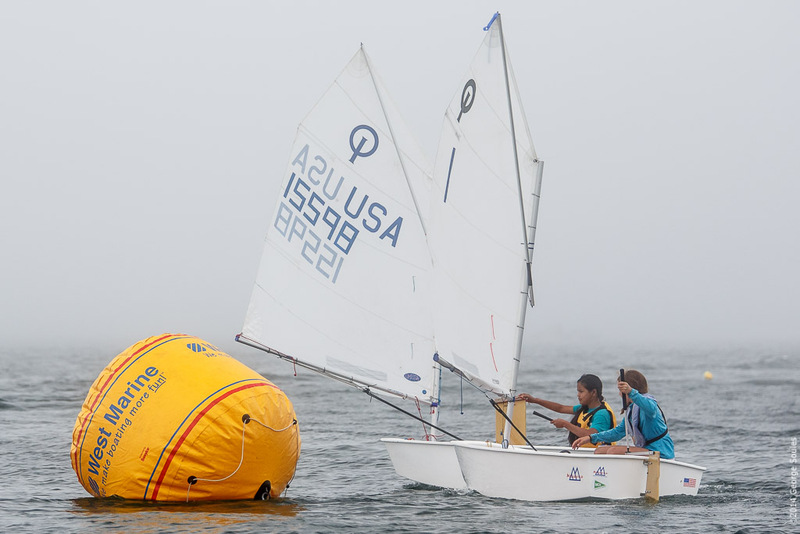 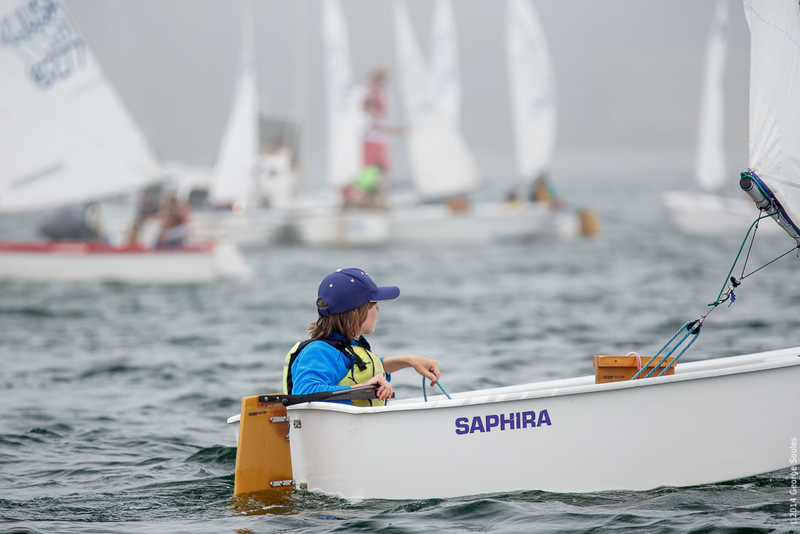 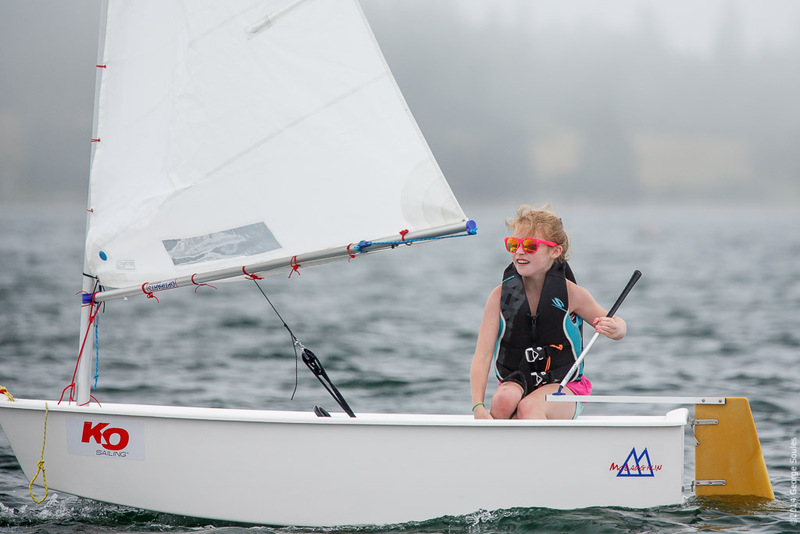 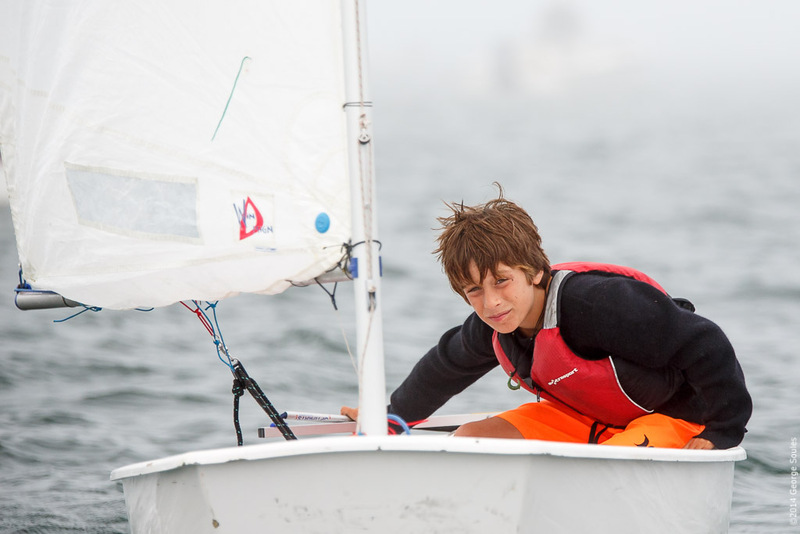 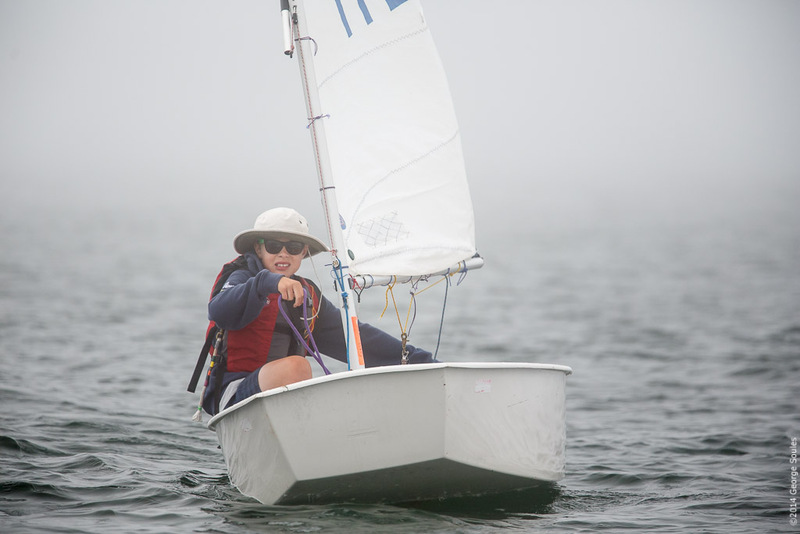 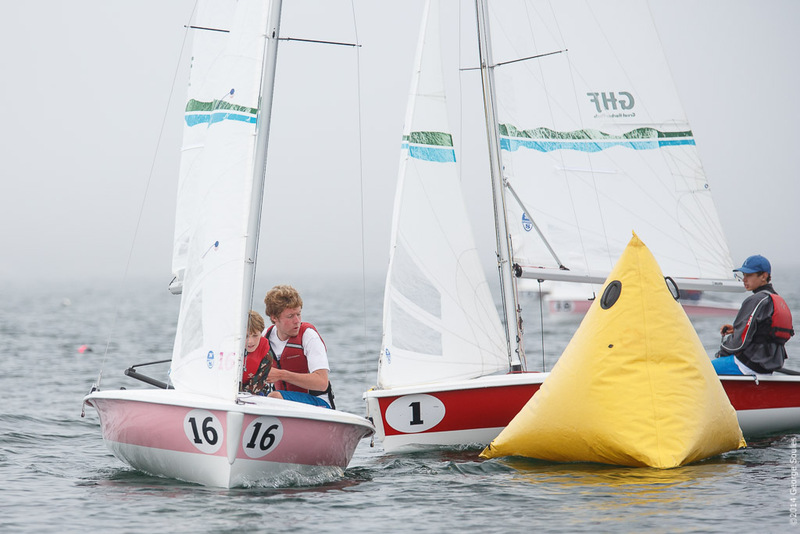 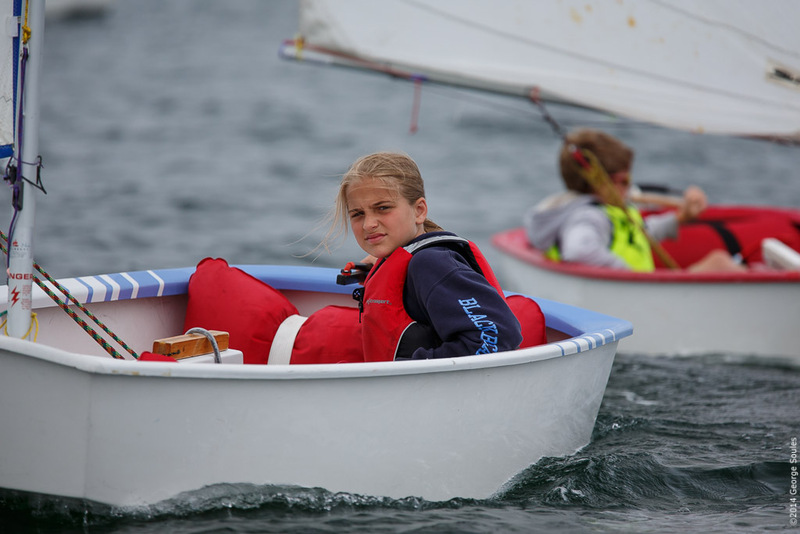 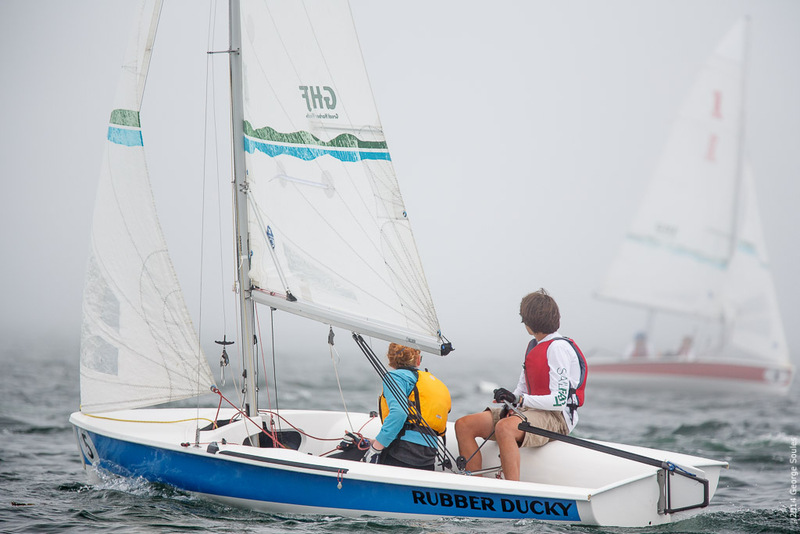 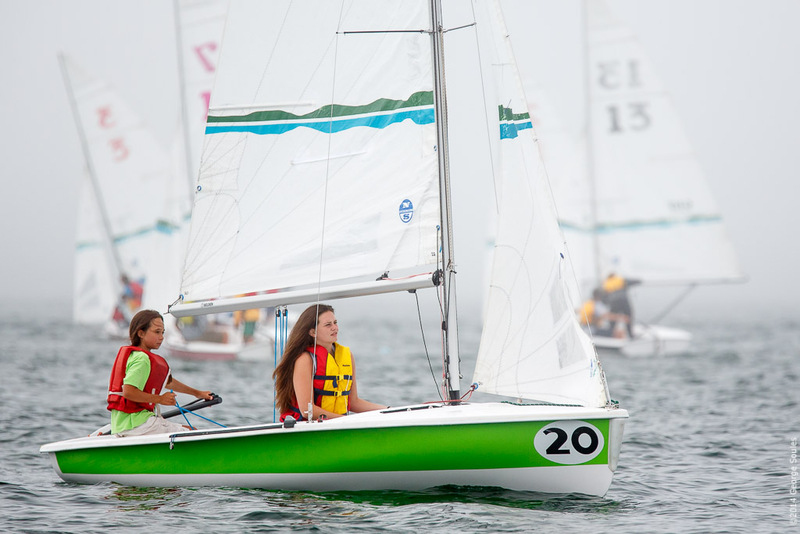 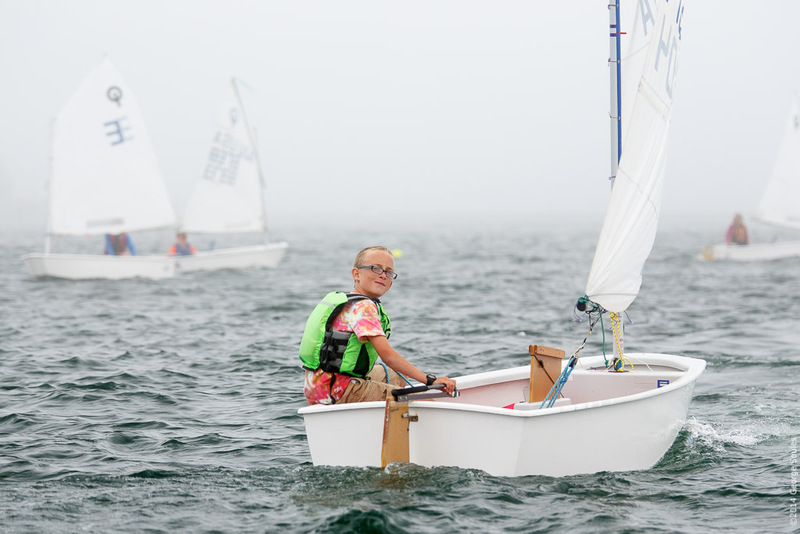 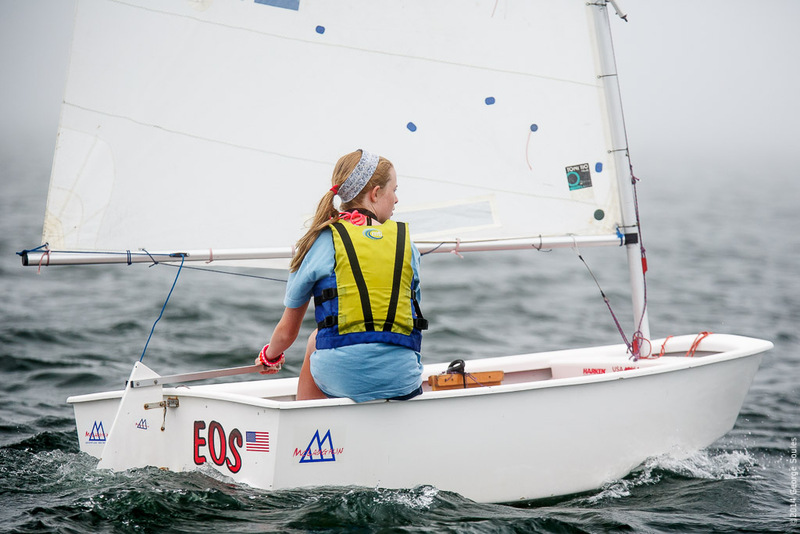 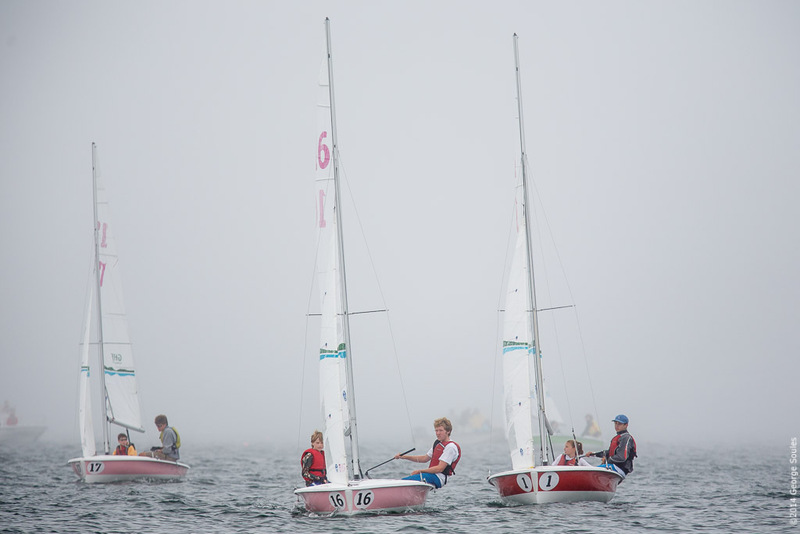 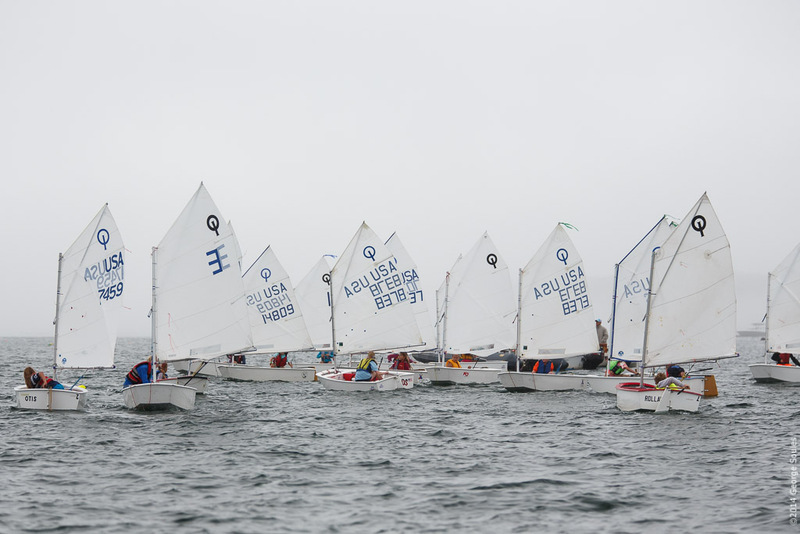 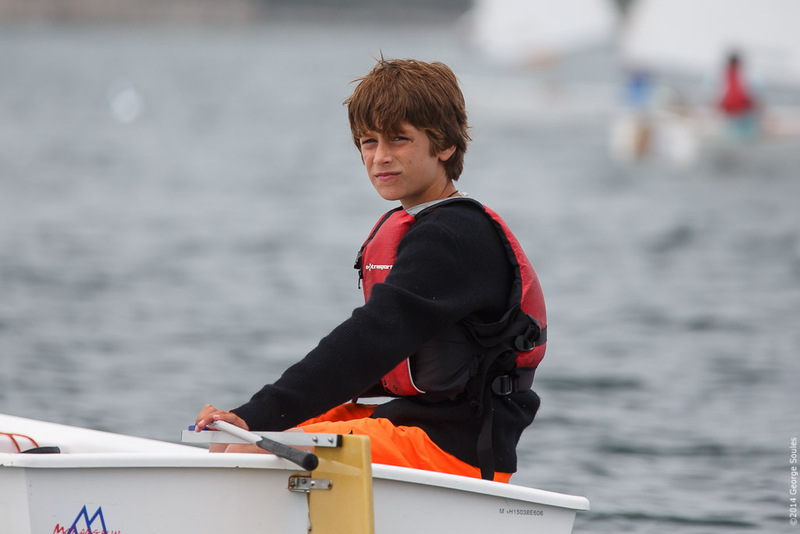 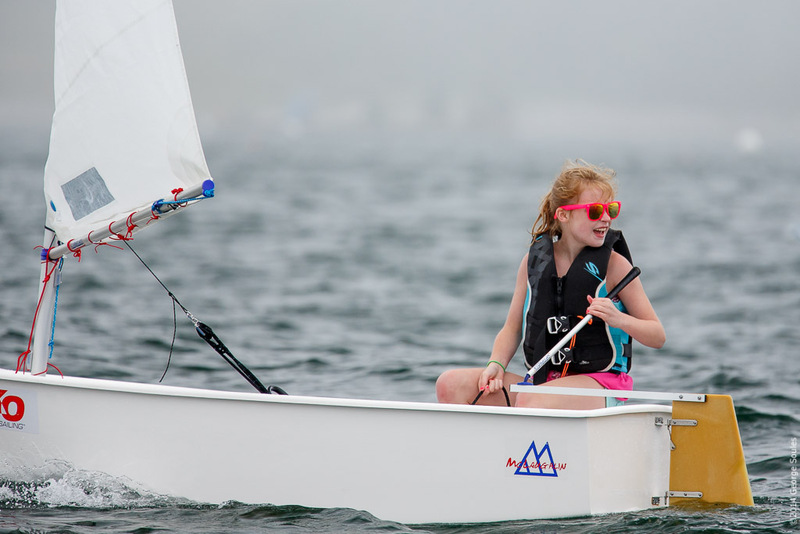 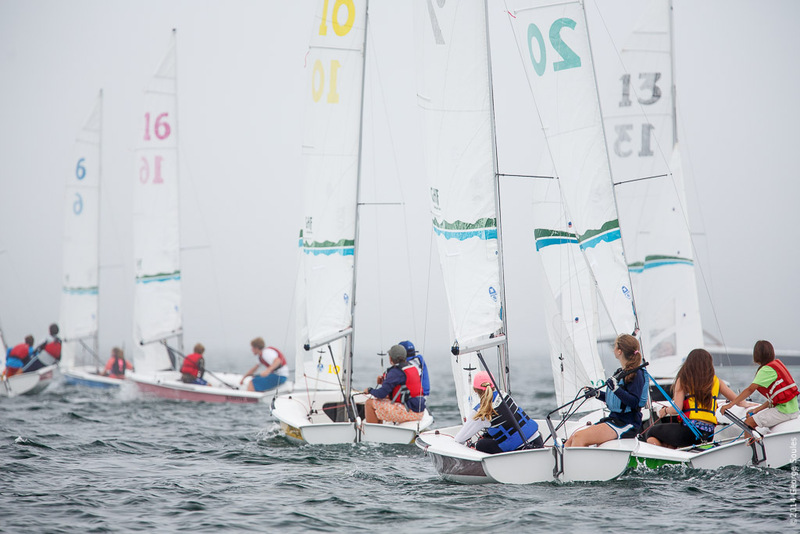 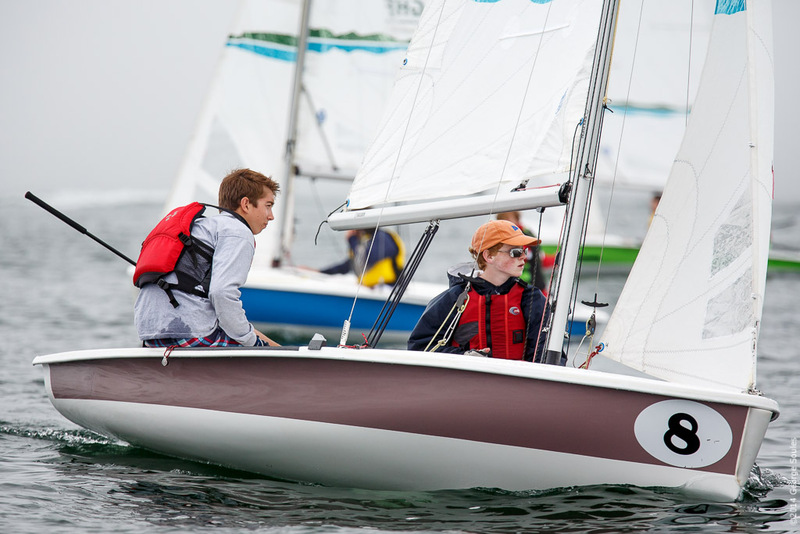 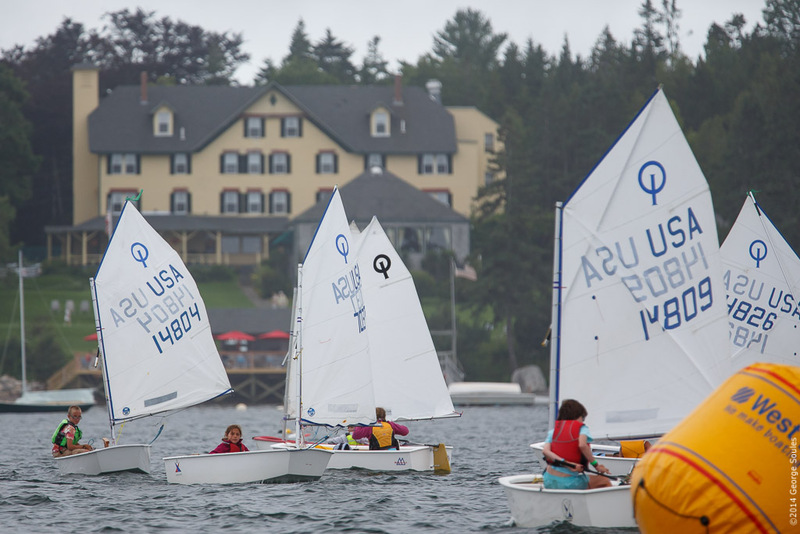 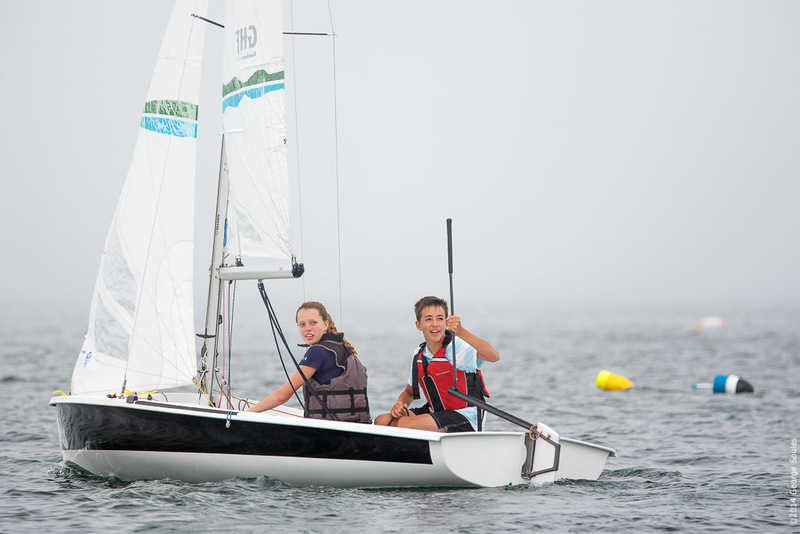 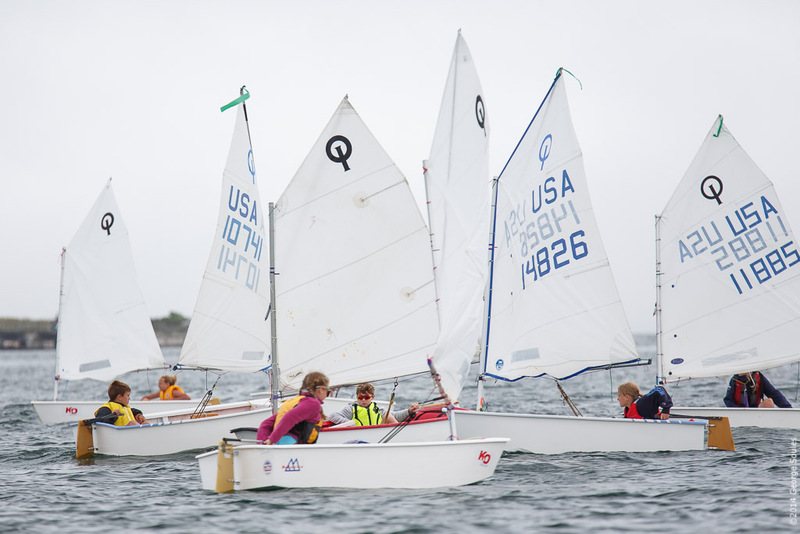 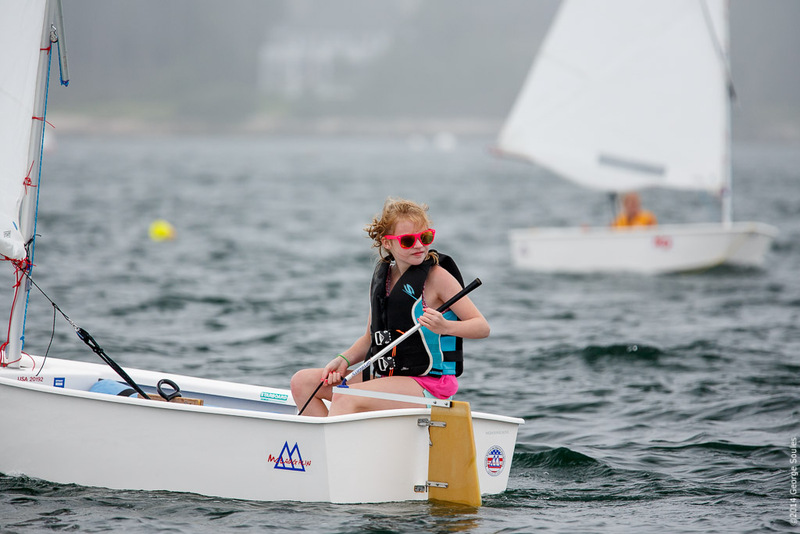 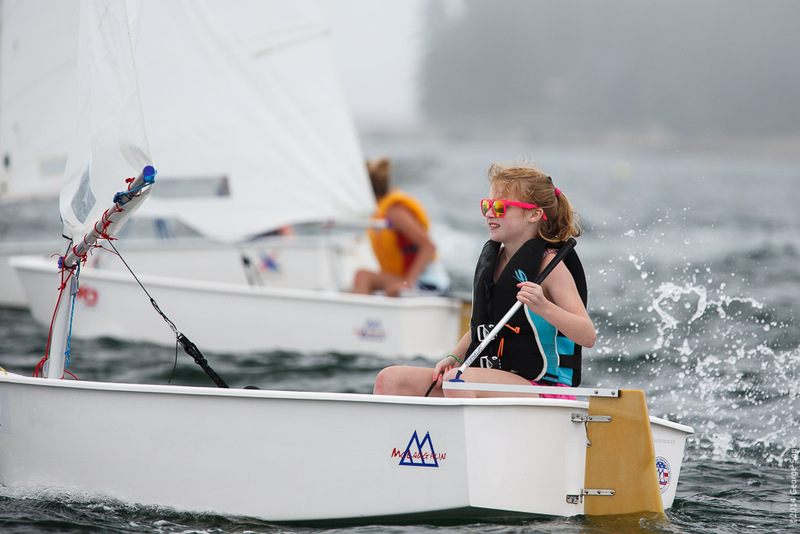 It was a foggy day on Mount Desert Island, but that didn't prevent nearly 40 boats from competing in today's Opti and 420 races sponsored by the MDI Community Sailing Center (MDICSC) in Southwest Harbor, Maine. 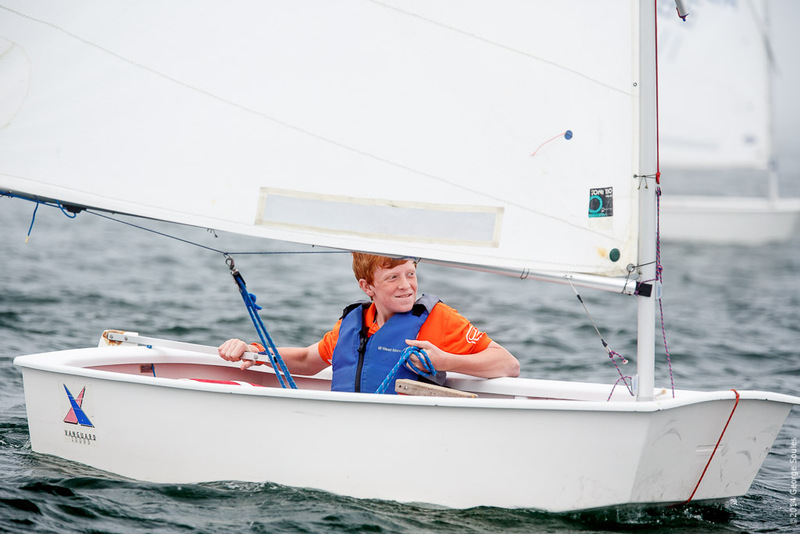 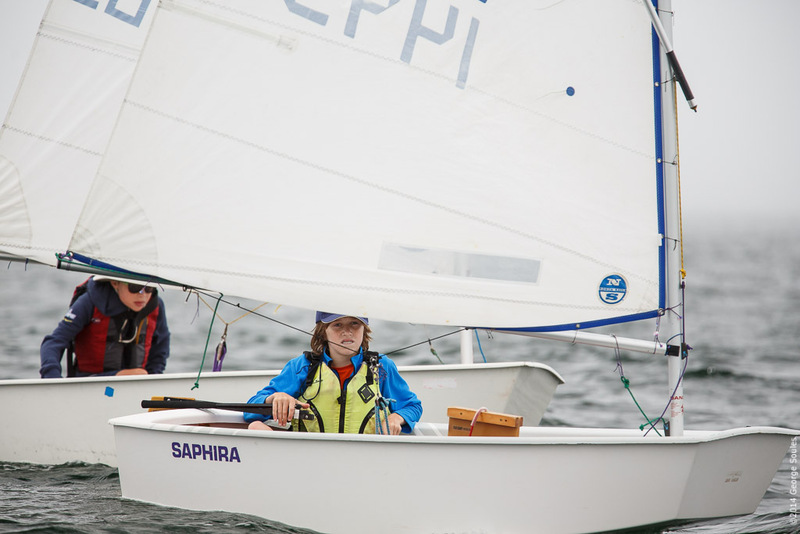 The Optimist is one of the most popular single-handed sailing dinghies in the world. 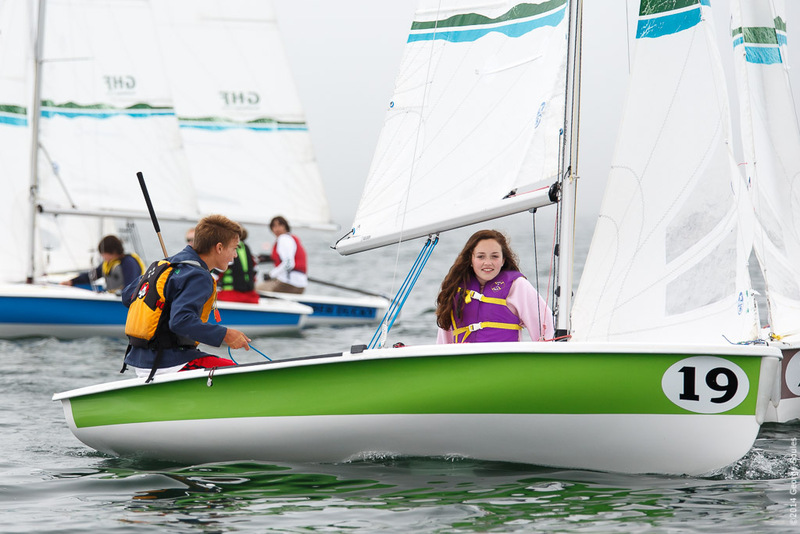 It is intended for use by children up to the age of 15. 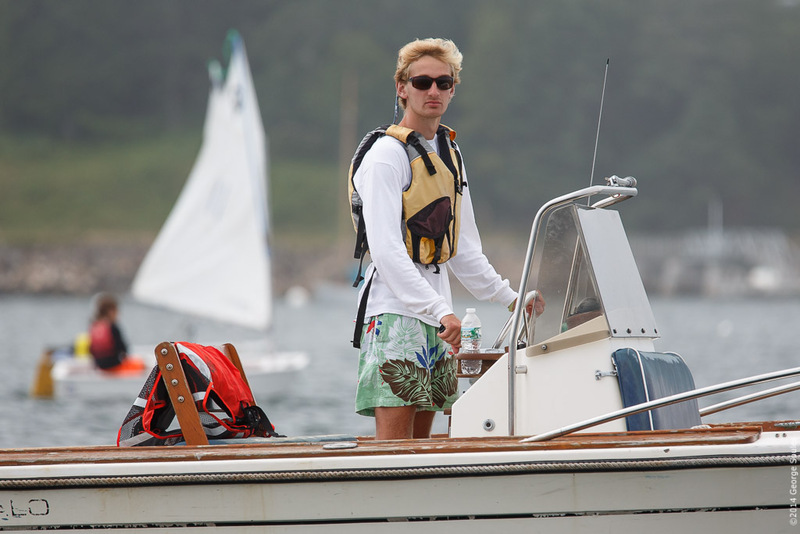 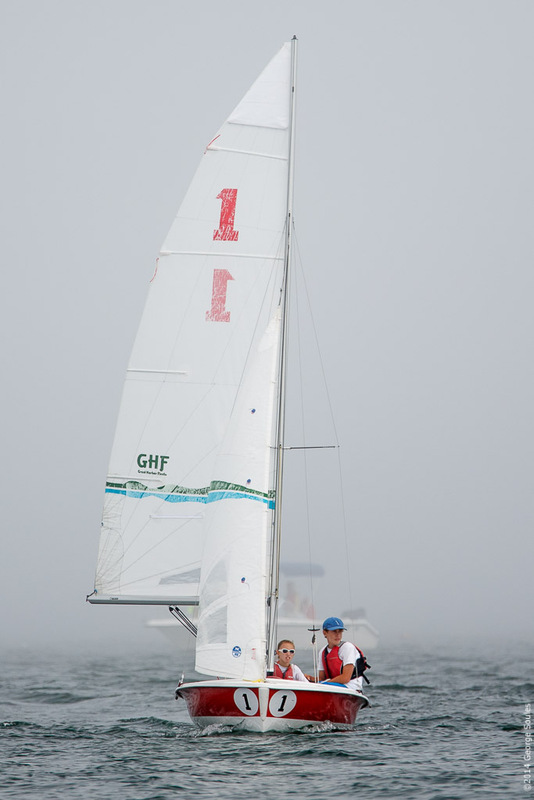 The International 420 is a double-handed (2 crew) dinghy. 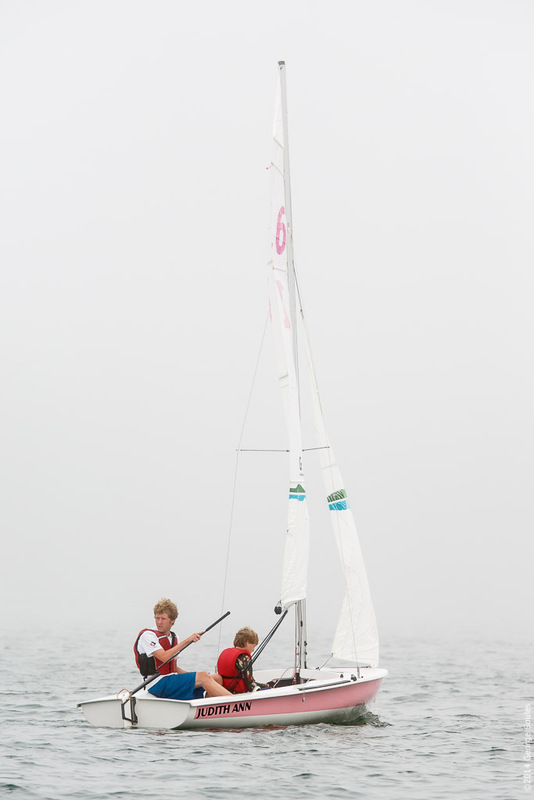 Its name describes the overall length of the boat in centimeters (the boat is exactly 4.2 meters long). 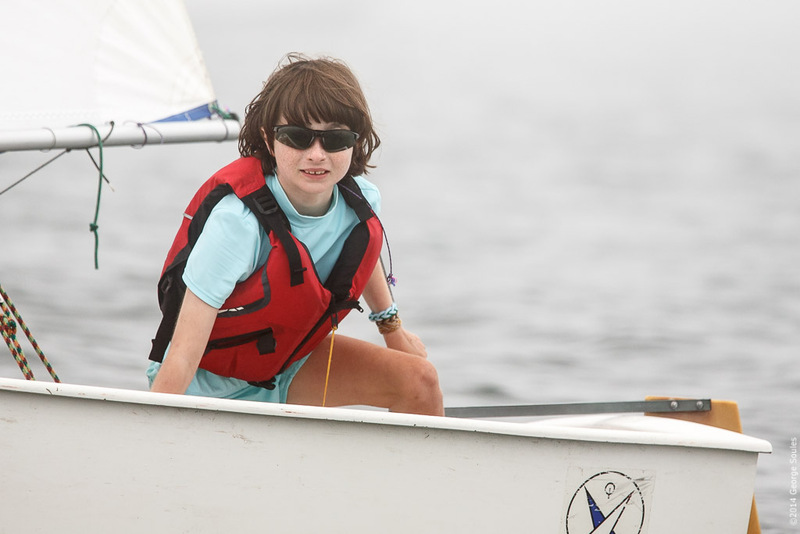 Thank you to Glenn Squires of MDICSC for driving me around in the chase boat to take these pictures.